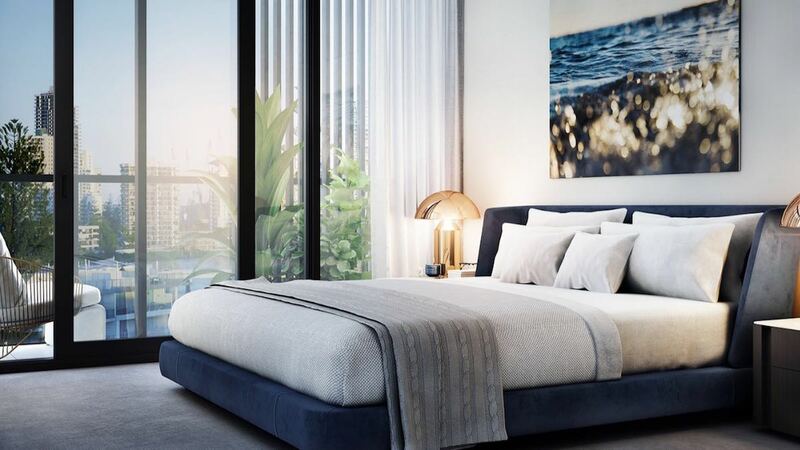 Peninsular Residences is a stunning new collection of apartments, perfectly positioned to make the most of the beautiful views and deliver the most relaxing lifestyle opportunity in Surfers Paradise. 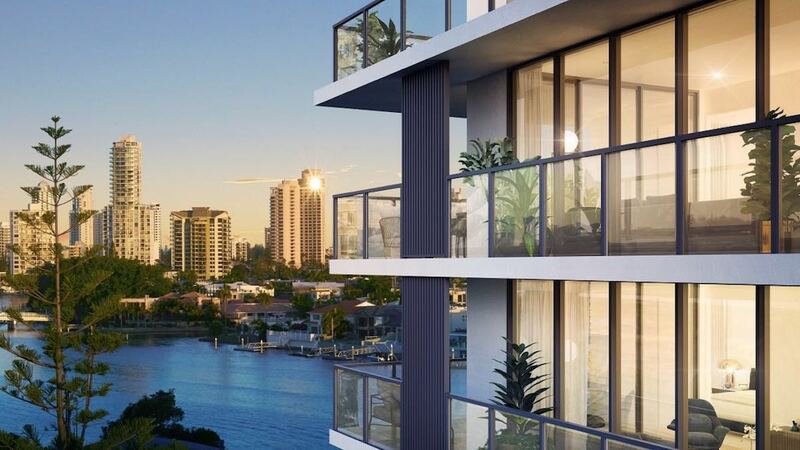 The exclusive project by HCAP Developments and Marquee Development Partners comprises only 60 residences, presenting a premium yet affordable chance to realise the dream of having the ultimate Gold Coast lifestyle. 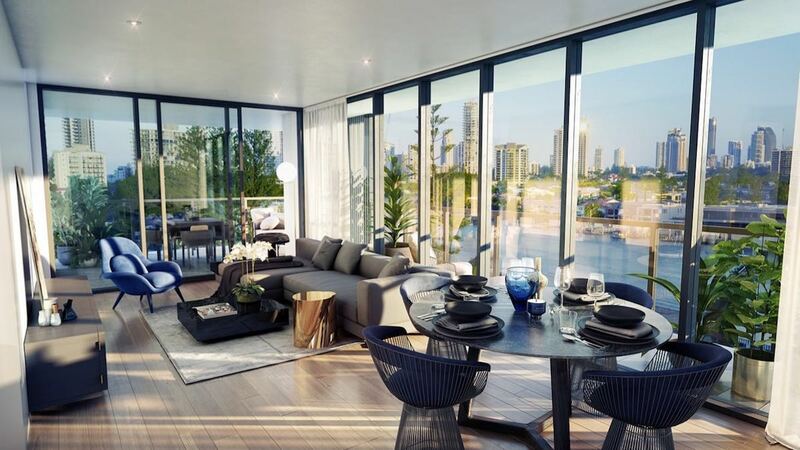 The striking structure of Peninsular Residences, designed by BDA Architecture, overlooks the main river, delivering breathtaking views from the apartments and creating an ever-changing natural backdrop for your home. 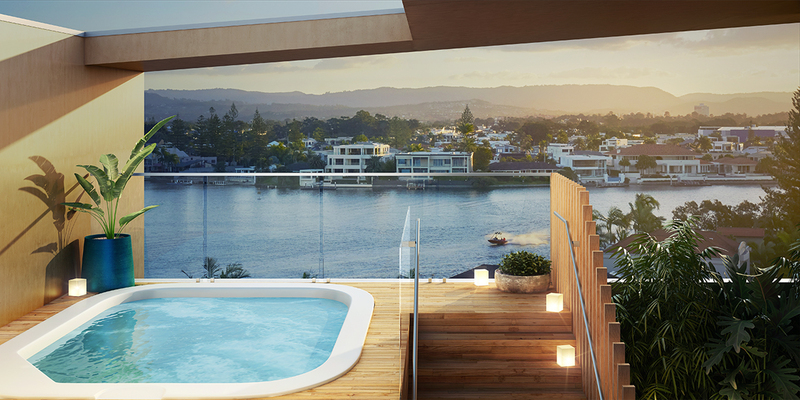 Sit back in your living room and enjoy the Gold Coast skyline, the glistening waterways, and colourful skies as the sun sets behind the mountains. In the open-plan living space, floor-to-ceiling windows create a sense of light-filled luxury. The rich tactility of the material finishes is illuminated and the entire living space is seemingly expanded, resulting in a lofty area that is at once premium and effortlessly homely. The entertainer's kitchen is flawlessly appointed with European appliances to deliver an unbeatable culinary experience. Reconstituted stone benchtops provide plenty of space to practice the art of cooking while also adding to the room’s finely balanced aesthetic. Contemporary gold-coloured accents finish the look with a touch of luxury. Cooking like an expert in your beautiful kitchen will be a thrill, but the alfresco dining experience offered by your private balcony, an extension of the living space, will transport you to an elevated level of enjoyment. With friends or family, indulge in food, wine and ocean views. The opportunity for soothing relaxation extends to the bedroom, a private escape composed of soft carpets, built-in wardrobes and, of course, more stellar views. Draw your curtains in the morning and start your day with a refreshing dose of nature and the Gold Coast’s beauty. Refreshed and inspired, make your way to the bathroom, a pampering haven designed to reflect the mood of luxury health spas. Ready yourself for the day surrounded by gold-coloured polished brass and flattering recessed lighting. If a taste of the spa lifestyle has left you craving more, the residents-only relaxation, health and entertainment oasis on the top floor will quench your every desire. Visit the spa, gym and yoga lawn, or make your way up to the cocktail lounge and dining zones for a night to remember. Peninsular Residences’ central location in the CBD of one of Australia’s largest cities, and the Southern Hemisphere’s number one tourism and entertainment destination, is life-changing. You’ll make local favourites of elegant riverfront restaurants and hip cocktail lounges. You’ll discover the latest trends in fashion boutiques aplenty. You’ll meet new and old friends for coffee at cool cafes just around the corner. And being just 1km from Surfers Paradise Beach, you’re sure to catch a few waves on the weekend. Whether you prefer travelling by foot, bicycle, car, bus or light rail, you’ll find it a breeze accessing all of the most exquisite experiences of the Gold Coast in just minutes. 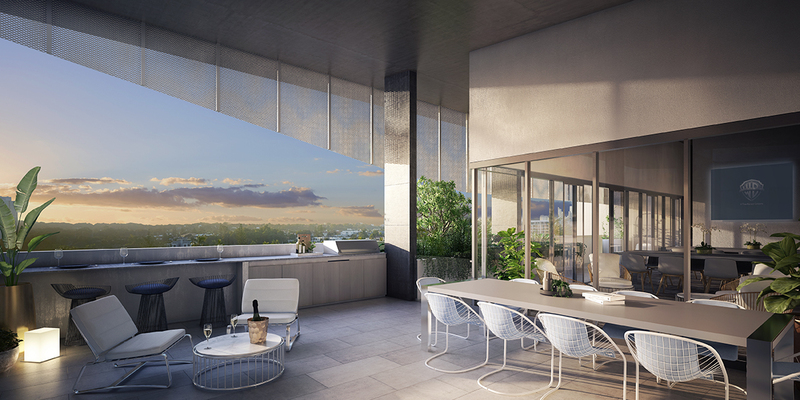 Two bedrooms are available from $539,000, a significant $200,000 below the suburb average. For more information or to enquire about Peninsular Residences, click here.